I cannot believe the holidays are rapidly approaching. Where did the year go? If you are like me, your life is already packed full of carpooling, sporting events, demanding clients, homework headaches, etc. During the holidays, things get kicked into overdrive. I need simple solutions for all of the additional demands of the season. I often grab a bottle of wine to take to the many engagements of the holidays as a hostess gift. A nice way to personalize it is with a festive wrap that includes a handwritten note. I have just designed a few for this holiday season. They are now available in our Etsy shop. They are quick to order, easy to print and can be printed as often as you like, which makes them extremely affordable. I am always looking for ways to simplify. I'd love to hear your ideas! 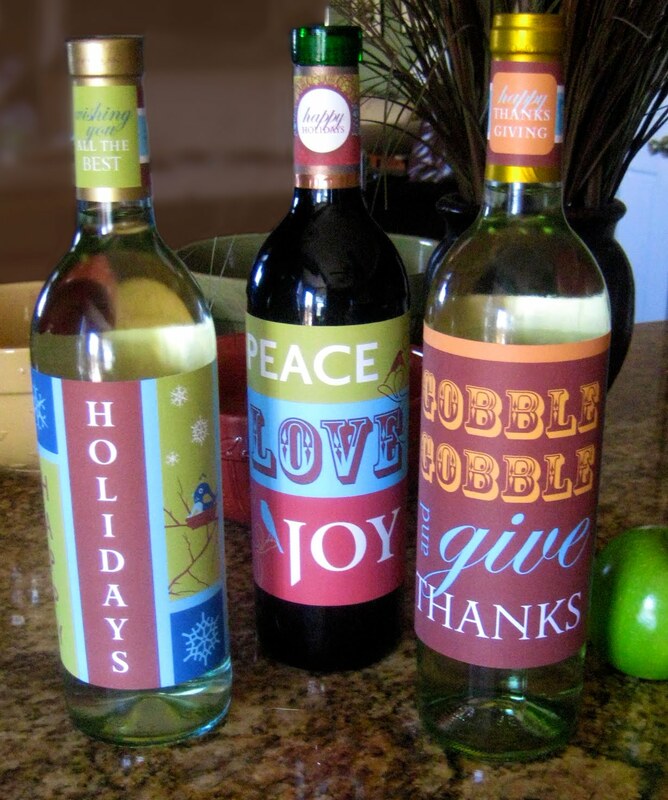 Check out our new Holiday Wine Wraps!